It seems like I haven’t posted much on here lately, but I’ve been feeling like crap most of the time and even though I’ve wanted to do a post I just had zero motivation. I am so excited to share with you that we are pregnant! We have hoped for the moment we’d give Emma a little sister/brother for such a long time. I am currently 14 weeks pregnant, I can feel myself starting to relax and enjoy this baby now. 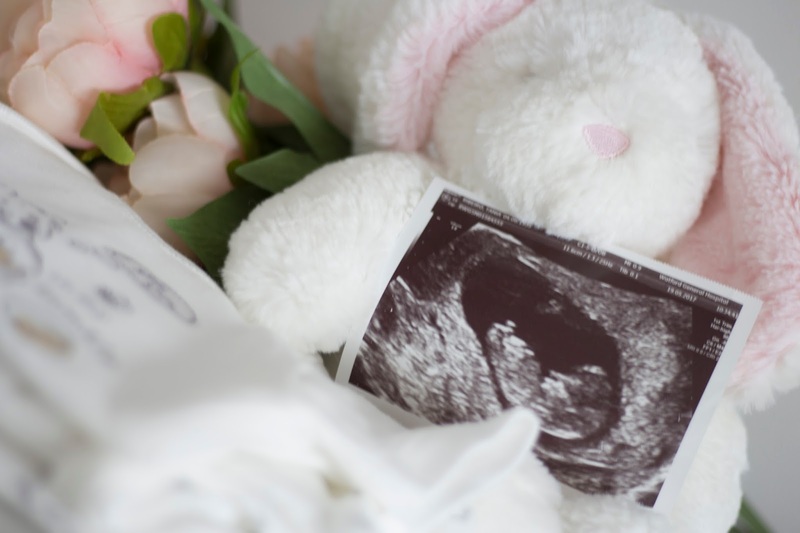 Though our baby was very much planned it came so unexpected I couldn’t believe it and took a grand total of 28 pregnancy tests, 3 scans to sink in. Your second pregnancy is so different to your first, some days you don’t even remember you’re pregnant. I’ve really struggled this time around. I remember saying to my husband that I always felt exhausted and I didn’t remember it feeling like this the first time around, then again I also didn’t have a two year old to run after. Symptoms I’ve had every single one, the sickness has been awful. I was on seven different anti sickness tablets a day for a few weeks! Also my skin has become so dry and keeps breaking out in spots especially on my chin. We are having a gender scan once I reach 16 weeks, we are so excited to find out so we can start planning and getting ready. This time we’ve decided to do a gender reveal which I’m really looking forward to, with Emma we just called and texted people. We’ve got a busy few months coming up as we are planning on moving to. But I couldn’t be more excited for this next chapter. How far along? 14 weeks. Total weight gain: I’d rather not know. Maternity clothes? Jeans and two t-shirts (I have a lot from Emma). Stretch marks? None, think I got them all with Emma (so I hope). Sleep: waking up for toilet every hour! Best moment this week: we got to see baby. Anything making you queasy or sick: Mostly everything especially meat. Food cravings: salt and vinegar crisps! Gender: we find out in two weeks. Looking forward to: Finding out gender. Congratulations Tania!! I'm sure that Emma will be over the moon to have a little brother or sister, can't wait to find out if you're having a boy or a girl! I can't imagine how tough it is to be pregnant and still have another little one to take care of, you're a very impressive woman! Congrats again! Huge congratulations Tania! I'm thrilled for you and your family. I bet Emma is super excited to have a sibling on the way! A massive congratulations! I'm sure it's an extremely exciting time in your life right now. Best of luck to you and your little family. Congratulations lovely I can not wait to see your future updates there is something so exiting about following someones pregnancy. HUGE congratulations to you all Tania!! Such exciting news! So sorry to hear you've not been feeling well but fingers crossed it won't be long settling down for you. Aww congratulations! I know what you mean about it being hard being pregnant when you already have a child. Freya just did not understand that Mummy was feeling delicate and tired all the time. Still, it makes you realise how tough pregnant women are. Wishing you all the best of luck with the rest of the pregnancy. Omg, congratssss!!! I am so so so happy for you, amazing news! Congratulations girlie! This is such an exciting time.